If you have a link you'd like me to add, just email me! BtVS Writers' Guild ... Collection of sites for writing BtVS characters. Buffy Fic by Wynd Gyrl ... Wynd Gyrl's archive. Hairy Eyeball ... Willow/Giles archive. 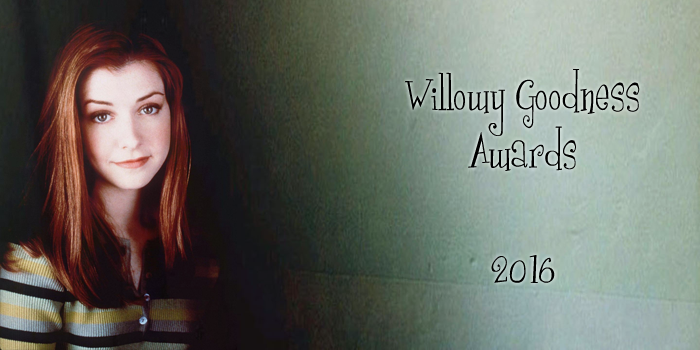 Near Her Always ... the Willow Zone of the BtVS Writers' Guild. 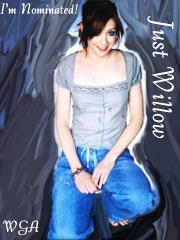 Lots of Willow-centric fanfic! 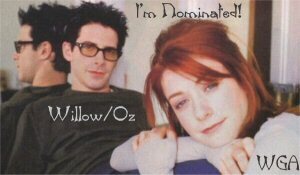 OzMIA ... lots of Willow/Oz fics! Inell's Fanfiction - Inell's site. 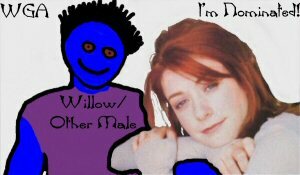 Shimmer ... the Willow/Xander Zone of the BtVS Writers' Guild. Twisting the Hellmouth ... The BtVS Crossover Zone of the Writer's Guild. UCSL ... huge archive for unconventional relationship fanfic. If you don't like the following banners and buttons then feel free to make your own! Just be sure to email it to me so I can put it up and give you credit! The following banners were made by Lar. Thanks SO much! The following banners were made by Malea. Thank you hon! The following banners were made by Sinecure. Thank you! The following banner was made by Padre. Thanks so much! The following buttons and banners were made by Syrenslure of Black Cat Productions! Thank you! The following buttons and banners were made by Lady Alexia V. Thanks so much!